Grind the lavender finely using a mortar and pestle, until it resembles a powder you will still be able to see specks of lavender. Using a stand mixer fitted with the paddle attachment, mix together the butter, sugar, and dried lavender powder until combined and it spread around the bowl. Add flour to the bowl, and mix together until the flour incorporates to form a ball of dough. It is easier to bring the flour together using our hands. Roll the dough out on a baking mat about 1/2" thick, then cut desired shapes. Place the cookies on a baking tray and leave it in the refrigerate for at least one hour, until it is cold and firm to the touch. Preheat the oven to 350F and bake the cookies for 15-20 minutes. The baking time depends on the size of the cookies. The cookies are ready when the edges are lightly golden brown and the bottoms are done. As the cookies cool to room temperature it will harden so do not over bake. These cookies keep well for at least a week in an air tight container. Well these are different,never tried lavender in baking before,very interesting ! I love shortbread, but I've never used lavendar in baking before. I would love to try growing lavender ! They looks so delicious I would love to taste test them ! 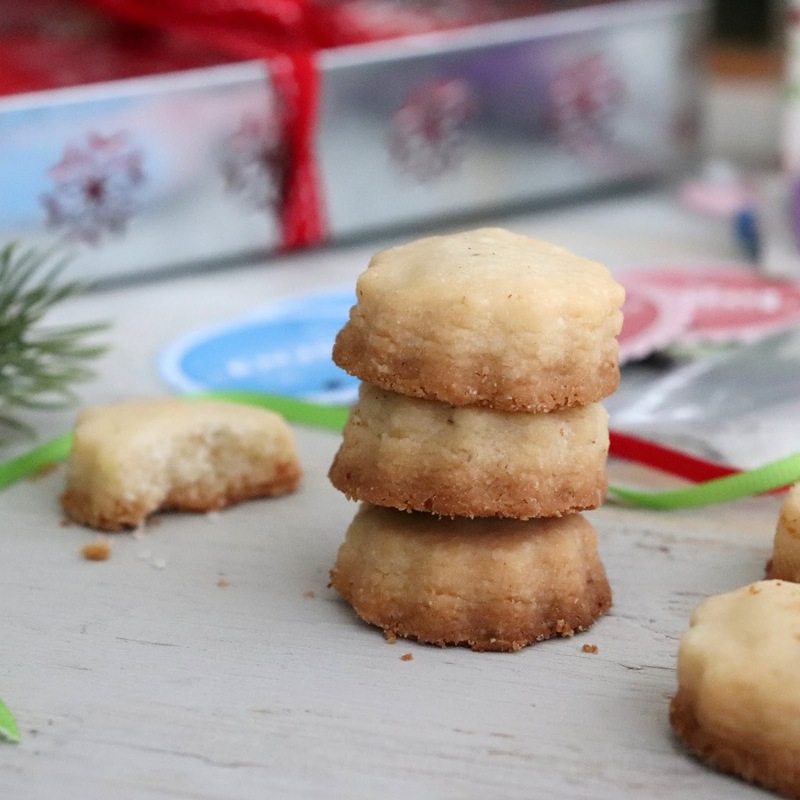 Such an interesting recipe and |I do love shortbread ! Everytime I see these cookies I want to taste them ! I've never tried lavender in cookies before. I'm very curious. So interested in trying lavender! Lavender and shortbread! What a great idea. These would make a delicious hostess gift. 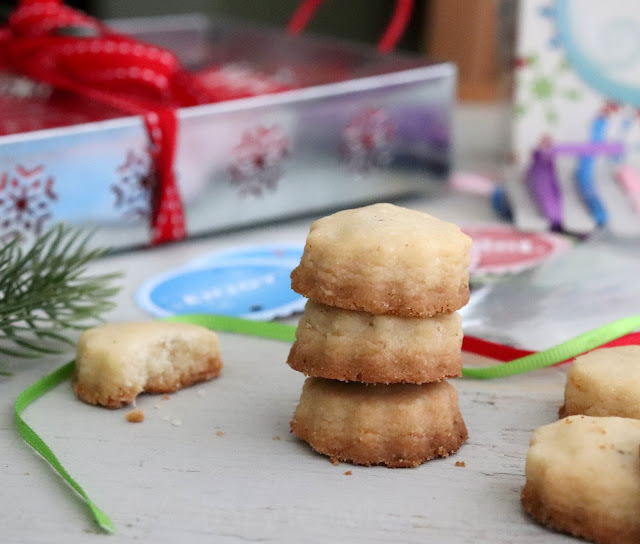 Shortbread cookies are one of my favorite treats ! Recipe was delicious,I used some mint I had dried from the garden ! hey look lovely. Haven't baked cookies in a long time. Love the little shape you used ! Cookies served with tea are my favorite! Your garden must smell amazing !! Lavendar is on my "want to grow" list, so maybe I'll plant some, and be able to make these cookies this summer. I've never made shortbread cookies; I didn't realize that they need so few ingredients. I'd love to try these. 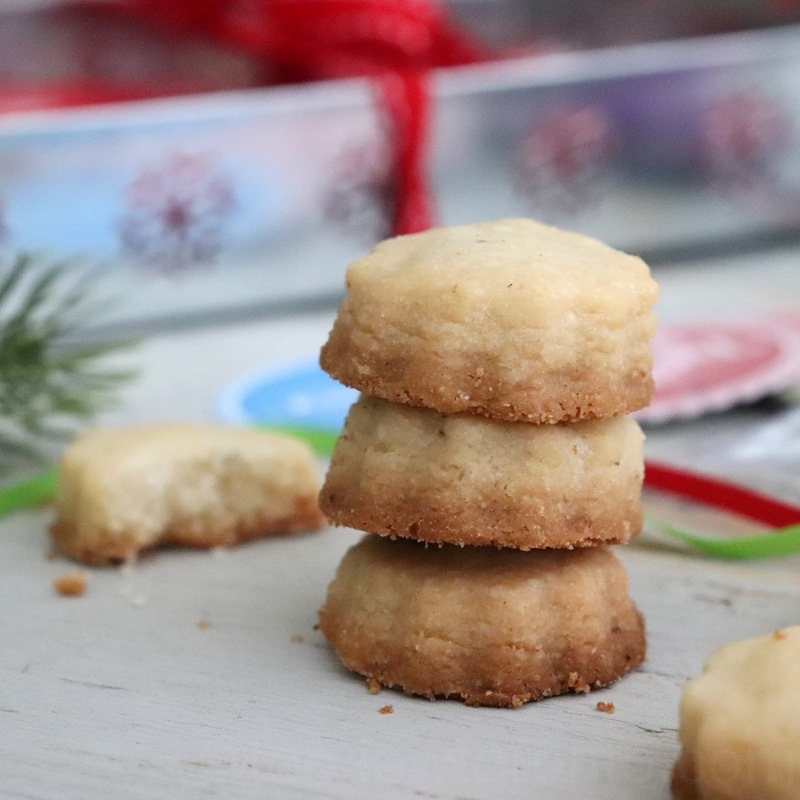 This buttery shortbread cookie looks delicious !